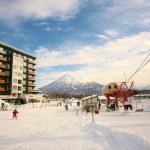 Japan is internationally renown for having some of the world’s best winter sports’ hotspots – according to “Snow Japan”, one of the leading English language Japanese winter sports web portals, there are currently about 500 places to ski and snowboard in Japan, ranging from huge mega-resorts to tiny local ski hills. 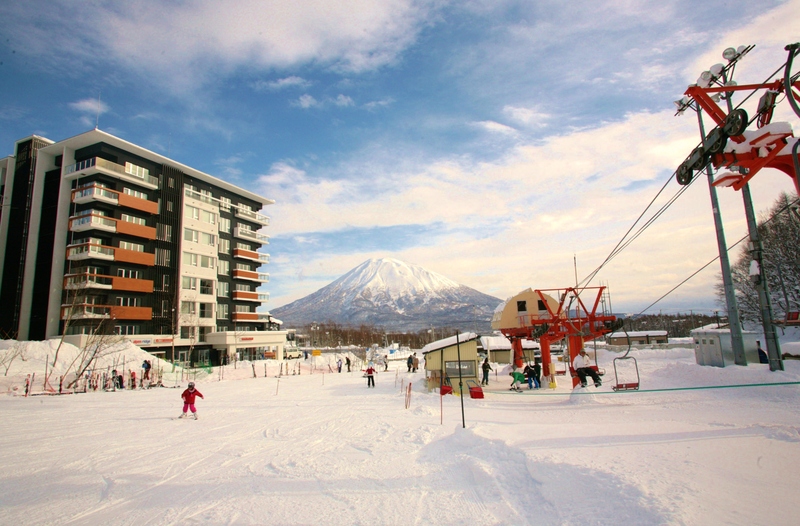 Additional factors, like Japan’s extra dry powder snow (often considered the driest in the world), and over 25 years of deflation, which have brought prices down significantly as far as overseas visitors are concerned, all add to the attractivity of a ski holiday here – as does the opportunity for sampling some of the world’s most exciting cultural properties, cuisine, and omotenashi – the Japanese un-paralleled service and hospitality philosophy. Oh, and let us not forget – the onsens (natural hot springs) that dot the mountainside all around the country – there’s arguably nothing that beats soaking in a hot mineral bath at the end of a long day on the slopes – and most self-respecting Japanese snow resorts would have at least one of these treats on site or in close proximity to accommodation facilities. For countries lying on or close to the same time zone, there’s also the added value of little to no jetlag. 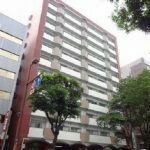 For those enthusiasts among us who frequent Japan’s ski resorts on a regular basis, whether living in Japan or abroad, the cost of accommodation can be quite steep – particularly if attending with family in toe. 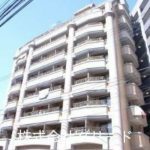 Even the cheapest accommodation available would normally start at 6,000 JPY per person, per night – with most of them averaging 8-9,000 or more. As a result, a winter resort holiday of just 2 weeks a year for two people, would cost approximately 230,000 JPY – just over 2,000 USD at current rates. Add even a single child to the mix, or extend the holiday by even a day or two, and it already becomes profitable to own your own private ski property, somewhere near or even a bit far from the slopes. This makes even more sense if you’ve got a larger family, or if you regularly travel with a group of like-minded friends – and, of no less importance is the option to design, furnish and otherwise tweak your accommodation to your heart’s desire, so that you’ve got the ideal annual retreat decked up exactly the way you like it, with all possible creature comforts included. Booking issues, which sometimes occur at high season in some of the more popular resorts, also become a thing of the past once you have your own home away from home. The obvious answer to this question would be, of course – “close to your favourite resort, if possible”. But of course, the biggest and most famous resorts can be quite pricey (actually not necessarily, but we’ll get to actual prices a bit further down the track). Fortunately, there are plenty to choose from – again, from “Snow Japan”, here is the list of Japanese prefectures hosting ski resorts and their numbers – Aichi (1), Akita (23), Aomori (12), Ehime (3), Fukui (7), Fukushima (24), Gifu (24), Gunma (24), Hiroshima (14), Hokkaido (104), Hyogo (16), Ishikawa (7), Iwate (19), Kochi (1), Kyoto (3), Miyagi (10), Miyazaki (1), Nagano (86), Niigata (56), Oita (1), Okayama (7), Saga (1), Saitama (1), Shiga (8), Shimane (4), Shizuoka (2), Tochigi (5), Tokushima (1), Tottori (6), Toyama (8), Yamagata (21) and Yamanashi (3). Plenty to choose from. Naturally, smaller and less international renown resort towns would have less English oriented services and staff, and not all resorts are created equal as far as diversity of activities and number of courses go – but a bit of research and an open mind will help you find some hidden gems that may be perfect – and affordable – for purchasing your own private winter wonderland holiday home. The afore-mentioned 25 years of deflation created the perfect buyers’ market as far as ski homes are concerned. While the sky is the limit, and multi-million dollar, cutting edge architecturally designed family chalets do exist, particularly in the more popular mega-resort locations, there are also plenty of properties that are practically being given away, mostly by retirees who no longer use them, and want to stop paying the often high monthly resort maintenance and upkeep fees that are charged monthly. These fees make up the most important part of the due diligence process. Generally speaking, stand-alone landed properties tend to be pricier (although not in all cases), but carry little, if any, monthly fees – whereas villas and apartments located inside existing resorts can involve monthly fees of anywhere from 50 to 300 USD per month. Keeping the estimated costs of renting accommodation on a per-night basis in mind, do your research, or enlist the services of a buyers’ agent to do that for you, and make sure the exercise is worth your time and funds. Some properties will cost close to nothing – say, 1,000-2,000 dollars – to buy, but then carry hefty monthly fees, while others will cost a bit more – 10, 20, or even hundreds of thousands, in case of a perfectly located and built landed home property – but have almost no fees to speak of post-purchase. Another important factor to consider is the distance to the slopes. While the pricier and more heavy-maintenance properties will be a few minutes walking distance from the courses, others that may seem further away, may actually be easily accessible via shuttle bus or ski lift. Some resorts offer heavily discounted prices for the use of these lifts or buses, as well as free or extremely affordable daily onsen, heated swimming pool and/or other facilities tickets to owners and their accompanied guests, which is another pricing factor to consider. Tangram circus ski resort in Nagano, for instance, where there are apartments available for purchase for as little as a few thousand dollars, and monthly fees are a relatively comfortable 100-150 dollars per month, provide 10 USD daily ski lift passes, which is an absolute steal – and there’s a ski lift station located only a few minutes outside the resort door. 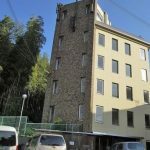 Lastly, and this applies to any type of apartment purchase in a co-owned condo, and not necessarily only to holiday properties – you’ll want to carefully review the building’s renovation history, and the status of the reserve fund pool, to ensure there won’t be any unpleasant surprises which may end up costing you more in sharp monthly fee hikes or one-off payments, just to cover for repairs and renovations if the funds pool is depleted for any reason. While there are plenty of absentee owners who advertise and try to lease out their properties to other holiday makers when not in use, most resort management companies actually forbid this practice – and the latest national legislation passed, which will come into effect from 15 June 2018, also prohibits these practices on a more sweeping scale – so it is highly advisable not to run afoul of these laws and bylaws, and to simply treat your ski property as a lifestyle choice, rather than an investment or money-making vehicle. When you ARE in attendance, however, you will usually be able to bring friends and family members along who will be staying with you – although some resorts will charge a small daily fee for any extra guests beyond those registered as immediate family members – this, as well, is something that you’ll want to confirm before deciding on the property you’ll be purchasing. In many cases, the best deals on winter holiday properties would be those which involve purchasing a relatively cheap and outdated property, and then furnishing and renovating it, as mentioned, into your ideal home away from home. If you’re a DIY enthusiast, or if you’re living in Japan and have the time and language skills to research and manage this process on your own, you’re in luck. However, if you’re residing out of Japan, or do not have the time and language skills required, you’ll need someone to do this for you. And, while there are a few English-speaking service providers who can assist in this regard, they’ll usually be available only at high entry levels, or only in the biggest and most internationally famous resort locations. If your property is anywhere else, however, or if you just want access to more affordable and versatile service providers, it’s a good idea to hire the services of a management company which can facilitate these services on your behalf. This will involve researching, contacting and getting quotes from a few local providers who can take on the project with a good track record and affordable prices, shopping around and sending you pictures of potential furniture and other trappings for you to approve, and coordinate the work with resort management, who will most likely have some regulations as to what can and cannot be done, and at what days and times – also to allow the renovators entry when they’re arriving to do their work. 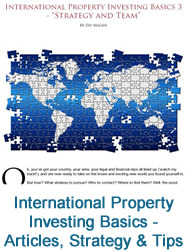 In short, you’ll need a local representative to act as your proxy in these cases. It’s not a bad idea to also have this local rep handle your financials, since non-resident foreigners cannot normally open local bank accounts, and Japanese service providers wouldn’t be able to handle communication in other languages, receive or send funds overseas, and otherwise handle overseas clients. 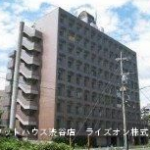 This rep should also be able to provide you with a Japanese phone number and postal address for communication with building management, tax authorities, and other third parties you may need to be in contact with over time. Of course, it would help if they also know the market at least a bit, so they can also provide some good advice along the way – although you’re very unlikely to get cheated or screwed over in Japan, there are of course better and worse service providers, as in any country. In case you’re splurged and purchased a stand-alone landed property, your local rep should also be able to assist you in contracting and facilitating the service of local maintenance folk who should be able to perform basic maintenance, repairs, or just to clear the snow off your property in preparation for your imminent arrival, and ensure that you are able to enjoy your winter holiday from the first to last day, without having to worry about any annoying tasks that have built up through the year in your absence. 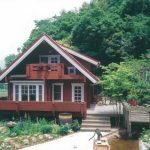 Share the post "Owning a Japanese Ski Holiday Property"